Join a small-group, two-hour walking tour through New Orleans’ elegant 19th Century garden neighborhood and enchanting Lafayette Cemetery. This neighborhood and its cemetery tells the story of New Orleans from the Louisiana Purchase to the Civil War. Stunning antebellum mansions, lush gardens, unforgettable stories, and beautiful photo opportunities await! The night before the tour, if you provide a phone number, your guide will send you their contact information and a detailed description of the meeting place. We keep our groups small to ensure a more personalized, comfortable experience. The tour meets at an award-winning bakery and cafe' on the St. Charles Avenue streetcar line. In fact, if you take the streetcar to the tour, you will feel like you have already started to travel back to a more gracious time. Your guide will give you a brief history of New Orleans and explain how the Garden District fits into the city's overall history, then you will embark on your adventure through the elegant tree-lined streets of this lush neighborhood. 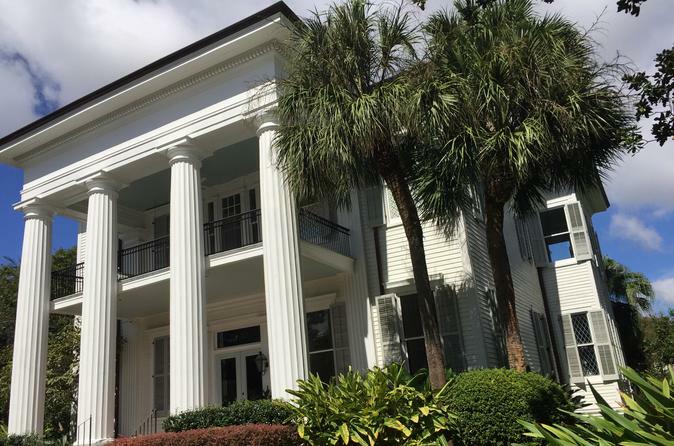 Your guide will point out the architectural styles that have become hallmarks of this neighborhood and tell you the stories of the fascinating risk-takers, speculators, and dreamers who established it as a wealthy American suburb after the Louisiana Purchase. You will have the opportunity to take lots of stunning pictures as you hear about how the Garden District was affected by the Civil War, industrialization, and the Great Depression. Your tour includes a visit to Lafayette Cemetery #1, one of New Orleans' famed above-ground cemeteries and the location of scenes from "Interview with a Vampire," "Double Jeopardy," "NCIS:New Orleans," and "American Horror Story:Coven." Your guide will explain our interment customs and point out some of the more remarkable tombs and funerary symbols. At the end of the tour, you will have the option to explore on your own more of the cemetery and the Garden District, continue up St. Charles for more stunning architecture and gardens, or head over to Magazine Street for great antique and gift shopping and fun dining and cocktail options. This neighborhood really has it all!